INDIBA® Deep Beauty, an exclusive patented technology combining Capacitive and Resistive modes at a frequency of 448 kHz that stimulates ion exchange and balances electrical potential of tissues. 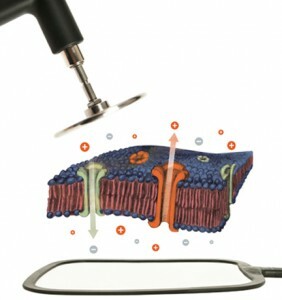 The Proionic System generates various biological processes in the cell and three basic actions in all types of tissue. Depending on the application required, the power increase of the equipment is adjusted, adding the benefits of each effect to the previous ones.